For the first time, researchers from the ARC Centre of Excellence for Coral Reef Studies (Coral CoE) and the King Abdullah University of Science & Technology (KAUST), have found that reef fish can inherit from their parents the genetic tools to adjust to ocean warming. "When parents are exposed to an increase in water temperature, we found that their offspring improved their performance in these otherwise stressful conditions by selectively modifying their epigenome," said senior author Prof Philip Munday of Coral CoE at James Cook University. Epigenetic change refers to chemical modifications in the DNA that signals genes to be switched on or off. A range of factors, including disease, famine, or in the case of this research, heat stress, can stimulate these subtle changes. In this study, when both parent and offspring experienced the same elevated water temperatures, responsive changes in their epigenome, via selective DNA methylation, were observed that enhanced the next generation's ability to cope with the new, warmer temperatures. 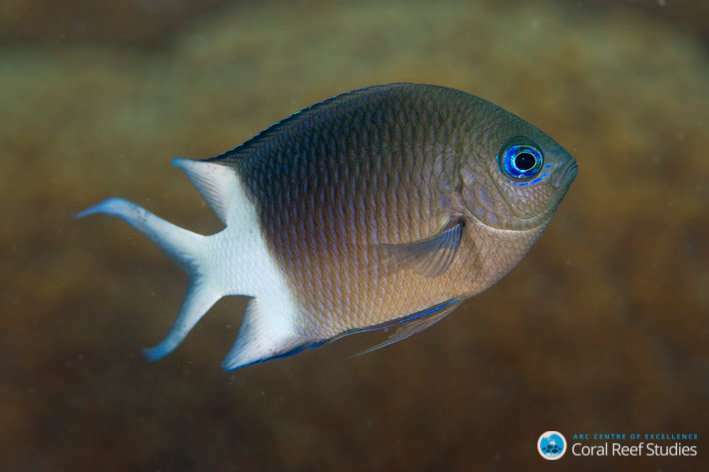 "We reared spiny chromis damselfish, a common Indo-Pacific reef fish, for two generations under three different water temperatures, up to 3 degrees Celsius warmer than current-day ocean temperatures," explained co-author Prof Timothy Ravasi of KAUST. "The next generation appeared to be advantaged by parental exposure to elevated temperatures. The offspring's altered gene expression, also referred to as 'acclimation,' allowed them to maximise oxygen consumption and energy use." "Acclimation may buffer populations against the impacts of rapid environmental change and provide time for genetic adaptation to catch up over the longer term," said Prof Munday. 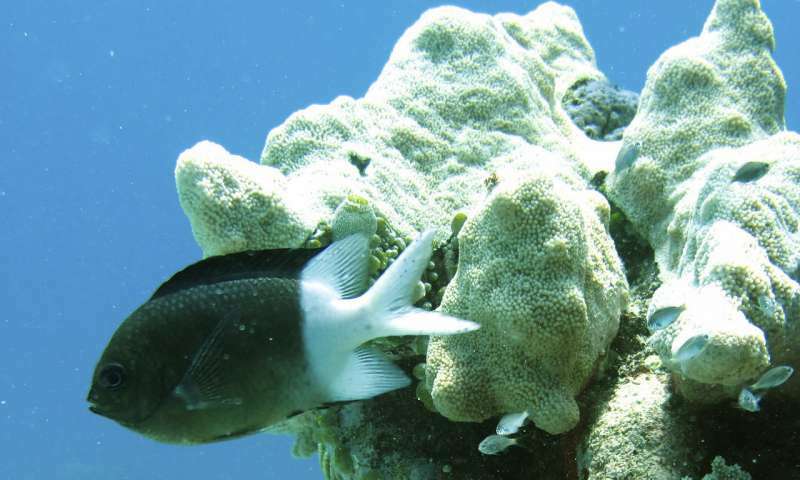 The authors of the study note that while this is good news for reef fish, the decline of their coral habitat, as a result of climate change, will continue to be an overriding concern for their survival. The paper "The epigenetic landscape of transgenerational acclimation to ocean warming" is published in Nature Climate Change.